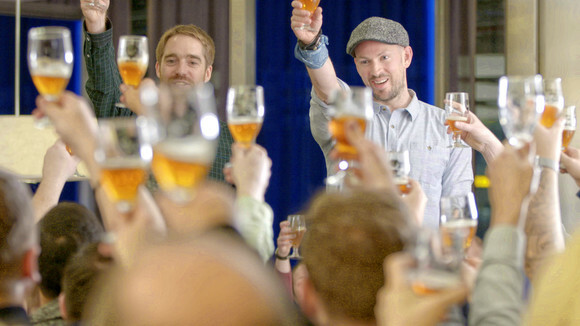 British Airways and Scottish craft brewery, BrewDog, have teamed up to create a transatlantic IPA to celebrate the airline’s centenary, and in a world first brewed beer at 40,000ft. 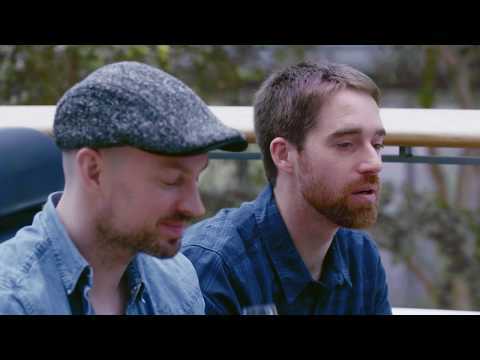 With the help of British Airways cabin crew, BrewDog founders Martin Dickie and James Watt, started the brewing process on board one of the airline’s Boeing 787 Dreamliners, while cruising 500mph over the north of Scotland. The expert brewers mixed water, hops and barley in the onboard beverage makers to start the mashing part of the brewing process. Watch how they did it here. Cans of the bespoke IPA, named Speedbird 100 after the airline’s call sign, will be exclusively available to British Airways customers on board all long-haul and short-haul flights and in selected lounges from May 1. The recipe has been specifically brewed to work perfectly in the air and adapt to the reduction in taste and smell sensitivity at high altitudes. In another first, BrewDog, will open their first bar in New York in British Airways’ Club lounge at JFK’s Terminal 7. Customers will be able to enjoy BrewDog’s headline craft beers, along with Speedbird 100. British Airways’ new Club lounge at JFK opens this Spring, completing the airline’s investment in Terminal 7. From May 1 Executive Club members can also enjoy a 10 per cent discount on all food and drink in BrewDog bars across the UK when they show their Executive Club card and a 10 per cent discount on merchandise on brewdog.com. Flyers will be able to watch the ‘making of Speedbird 100’ on the airline’s inflight entertainment system from July. British Airways will be releasing a series of ‘centenary editions’ in partnership with British brands during its milestone year. The airline partnered with luxury British watchmakers Bremont on the launch of a new limited-edition timepiece, featuring metal from one of the most famous and iconic planes in history – Concorde. As part of British Airways’ £6.5 billion investment for its customers, the airline also recently revealed its new business class seat and introduced changes to its First, World Traveller Plus and World Traveller cabins, delivering exceptional new restaurant-style catering from Do&Co. British Airways is also rolling out industry-leading Wi-Fi on board, opening new lounges across the world and launching 15 new routes. BrewDog’s headquarters are in Ellon, 30 minutes outside Aberdeen.